News of the Pet Pastor actually traveled all the way to Germany. It was reported both in a magazine article and on German Public Radio. 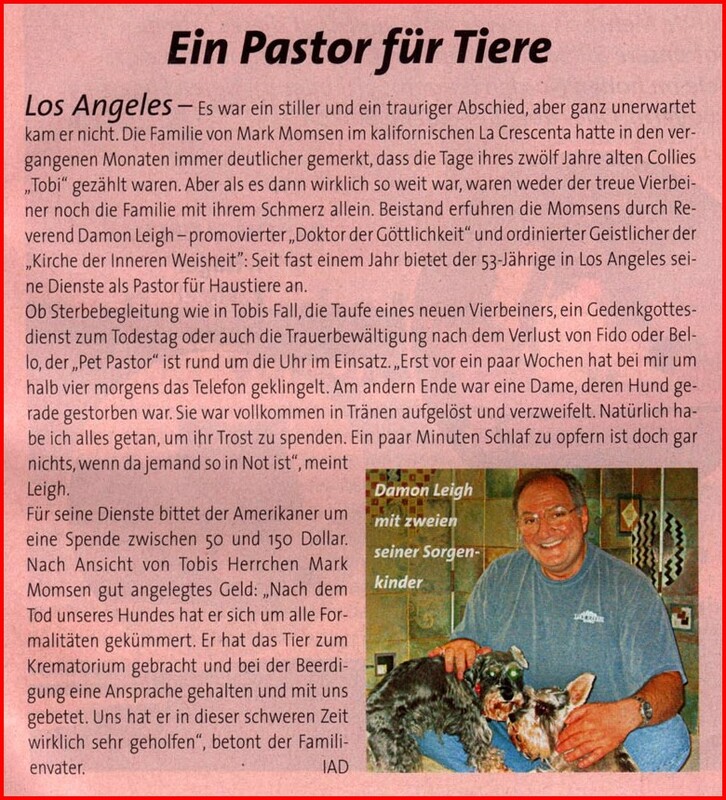 German Radio Report: German Magazine Article: "The Pet Pastor"
Enter our sanctuary... all pet lovers are welcome. © 2002 Rev. 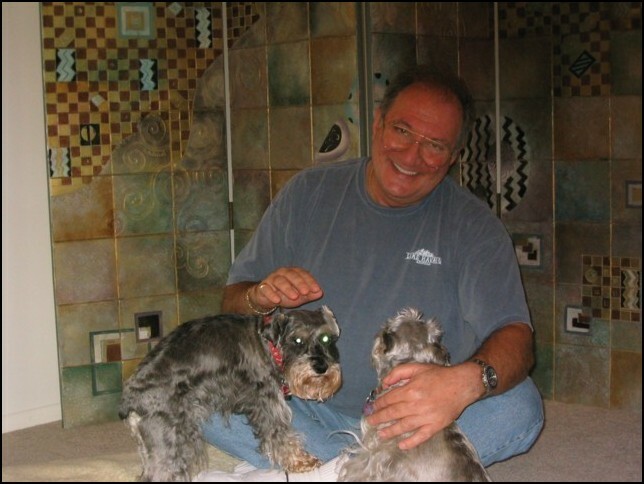 Damon Leigh, D.D., N.D.